At Southside Dental Implants we provide world-class care for our patients. Book your comprehensive implant consultation. Implant dentistry helps to maintain a correct bite and preserve jawbone density. With our implant dentistry we can replace one or more missing teeth. At Southside Dental Implants in Sunnybank in Brisbane, we offer a range of dental implant procedures to help restore form and function to your oral health. Whether you are missing one tooth or all of your teeth, we can provide the treatment that best suits your needs. Learn the health benefits of replacing missing teeth. 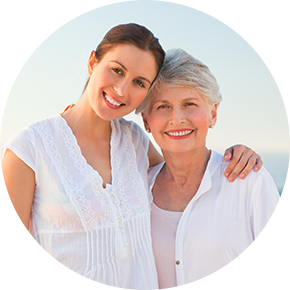 Discover the benefits of dental implants. What to consider when getting implant dentistry. Avoid oral health problems associated with tooth loss. Replacing a missing tooth with a dental implant is a long-term solution for improving your oral health. Dental implants also help to retain healthy bone density to reduce signs of premature aging. Missing multiple teeth can affect your self esteem, your ability to chew, and put increased pressure on your remaining teeth. Dental implants are an ideal solution to replace multiple teeth and improve your appearance and function. A full arch restoration is a dental bridge attached to four to six dental implants. This treatment restores form and function to patients who are missing all their teeth from either their upper or lower arch. Implant supported dentures have long been regarded as far superior to normal conventional dentures. By supporting a denture with dental implants you don’t have to worry about the embarrassment of loose or wobbly dentures. 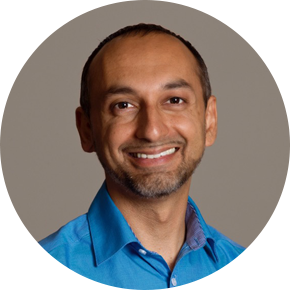 Dr Burhaan Kassim is a leading implant dentistry provider, and at Southside Dental Implants, located within the McCullough Dental Centre, we ensure that our patients are fully informed about implant dentistry and what will work best for their oral health. Dr Burhaan Kassim and the team at Southside Dental Implants in Sunnybank will work closely with you to ensure that you get the treatment that is right for you. Instead of conventional treatments like bridges and dentures which only replace the tooth, implant dentistry also ensures continued jawbone stimulation. The dental implant is a biocompatible titanium rod that is surgically placed in your jawbone to act as an artificial tooth root. Either an implant crown or denture is attached to the dental implant to provide stability as well as mimic the look and feel of a natural tooth. For more information or to arrange an appointment, contact us today!